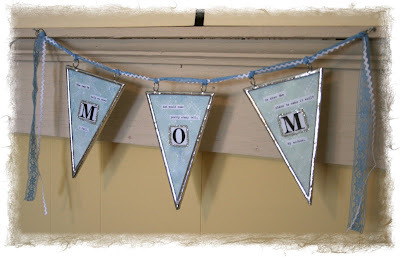 I always struggle with what to get mom for Mothers Day, it seems that she already has everything! 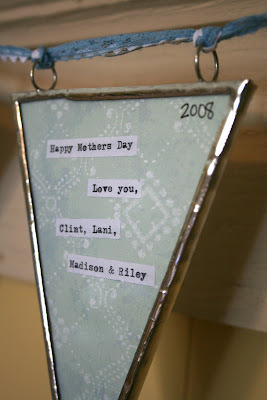 This Mothers Day I wanted to make her something so that it would be a one-of-a-kind gift! 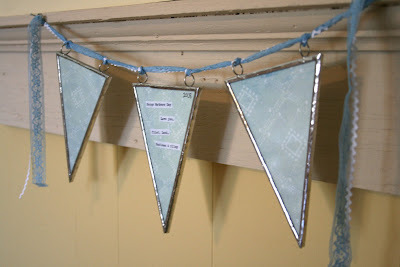 A while back a customer wanted me to make her a soldered glass banner with some paper inserts that she had made. 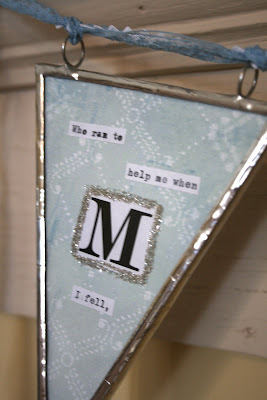 I loved the way they turned out, so I thought that I would make one for mom! 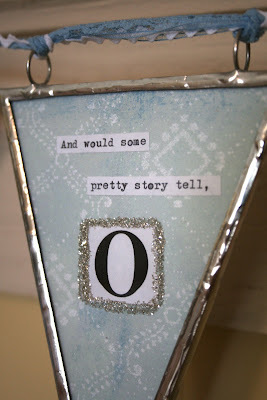 I am also making one for my mother-in-law, I just need to get it soldered! Off to get it finished...later! Oh it's fantastic!! 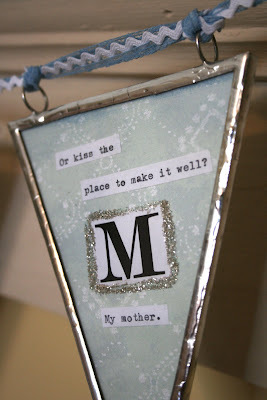 I'll bet your Mom was tickled pink with this thoughtful and beautiful gift!